besides, maybe I need a break from being -the best. sure - i know you are a bit tired here. But instead doing things on server its better just to stay away for a while to get new energy. its open again but perhaps you need a 2 weeks break anyway. If anyone needs tips on remaining at the top of the player ranking like I do (check my avatar), please don't hesitate to PM me. El Stupido wrote: If anyone needs tips on remaining at the top of the player ranking like I do (check my avatar), please don't hesitate to PM me. 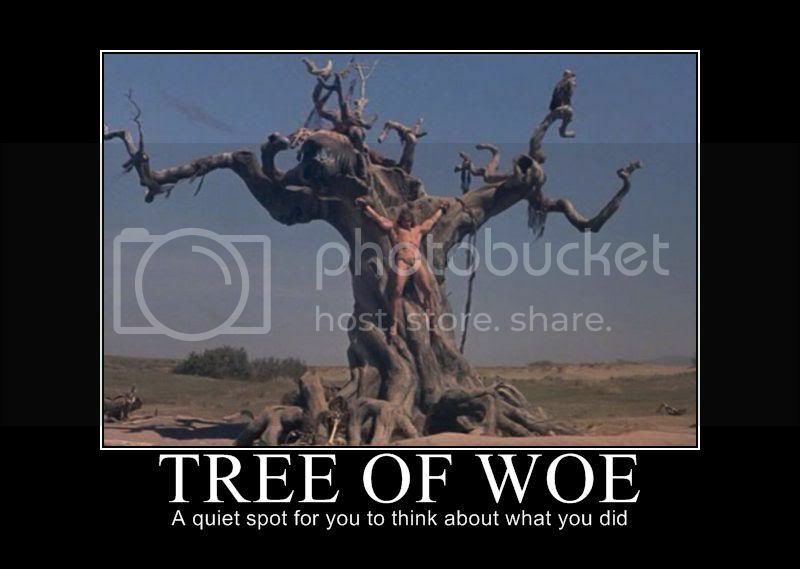 The Tree of Woe seems a little extreme for vote-kicking the admin (in my humble opinion). Perhaps some time in the Shrub of Discomfort would have been more appropriate? so if conan is gunte ... then who is this guy?